There are so many ways to define dining in luxury. In this article I’m going to focus on the ultimate achievements. For some it would be a James Beard Award or three Michelin star award. For me and many others, Bocuse d’Or is the ultimate in culinary competition and talent worldwide. January of 2015 celebrated its twentieth year of excellence and it keeps improving. I find it outstanding as it provides the opportunity for young talent to be discovered. 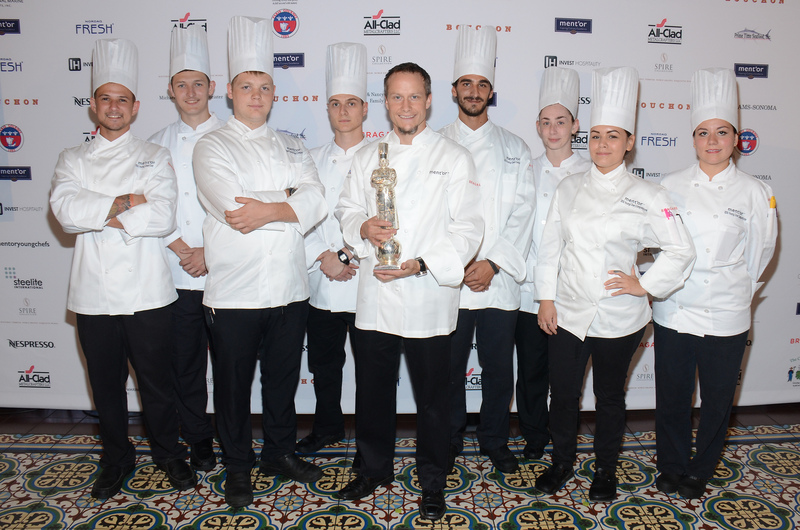 Young chefs around the world are preparing to compete to represent their country at Bocuse d’Or in 2017. We thought our readers might find it interesting to see how the United States is preparing and share some photos of the food from the 2015 event to introduce you to the young talent on the rise. In 2009 TEAM USA placed sixth, but from my personal perspective, they did not have the support of enough sponsors, passion and supporters to compete at the level required to win, this culinary Olympic competition. TEAM USA has come along since then. way over the years and as they proved in January 2015, when they took home the silver medal. Recruit, train and financially support Team USA at the Bocuse d’Or Competition to build appreciation for the fine culinary arts in America. 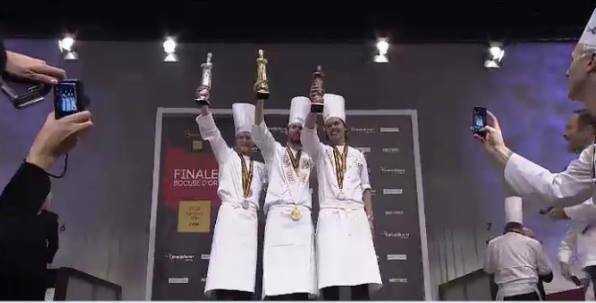 TEAM USA 2015 for the first time ever, reached the Bocuse d’Or podium with a Silver Medal at the cooking competition in Lyon, France. 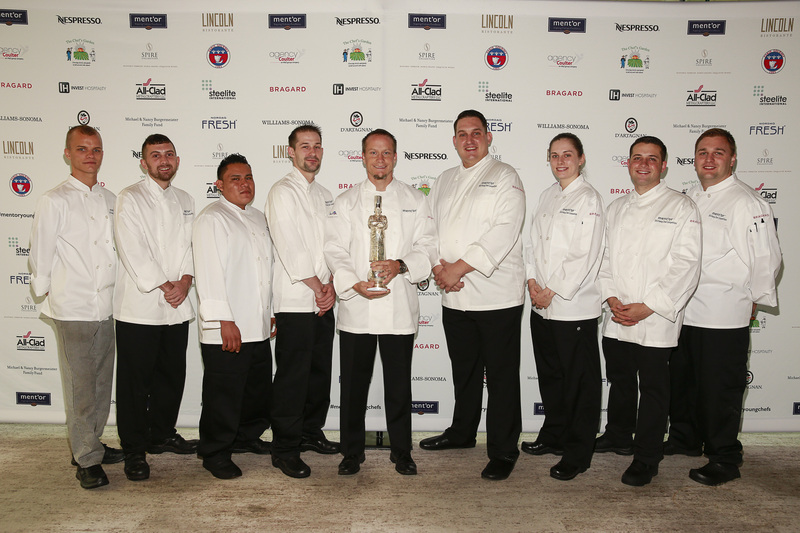 All were proud of Chef Phil Tessier and his Commis, Skylar Stever, for all their dedication, passion and hard work. 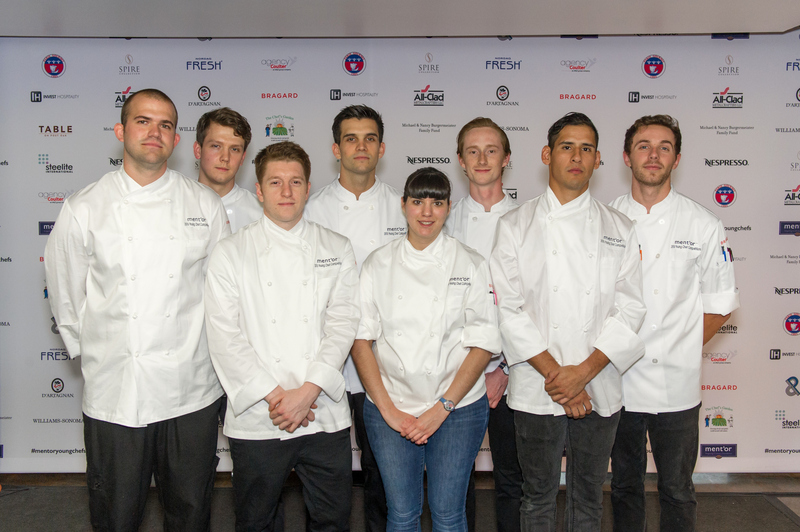 Even though 2017 seems a long way, Young Chef Competition Series starts immediately in cities around the country. Los Angeles competitors David Kneller & Chris Ferrell, Skylar Stover & Harrison Turone (1st place), Billy Lansing & Rebecca Foley (2nd place), Michelle Tribble & Andrea Saldana-Gamboa. Chicago competitors: Sophia Manatakis & Torre Liebchen, Esther Ha & Tim Tokarz (2nd place), Ryan Peters & Tyler Borstorff, Mark Garcia & Kathryn Eurich (1st place). New York City competitors: Joshua Okerblom & Matthew Bergen, Armando Ortiz & Zachary McCarty, Michael Dengelegi & Kati Tennant (1st place), Corey Siegel & Kyle Muller (2nd place). Houston competitors: Tuler Prieve & Paris Drelbelbis (2nd place), Lee Foden-Clark & Camden Hershberger (1st place), Mara Serna & Logan Jung, Angel Medine & Keith Rzpecki. Four candidates have been picked to compete for the amazing opportunity of representing the United States in what most consider the most prestigious cooking competition worldwide, The 2017 Bocuse d’Or. Mathew Peters, Executive Sous Chef, Per Se, NY. Of course we will be cheering on TEAM USA as well as all the other talented chefs worldwide. Images courtesy of Ment’or except where noted.